UK producer Burial has just unearthed some new material for fans, having delivered a surprise white label single this morning through Keysound Recordings. The one-sided slab of 12-inch vinyl showcases an unreleased cut called "Temple Sleeper." News of the release was tweeted out this morning (January 22) by Keysound's Blackdown, who provided a link to pick up "Temple Sleeper" through the label's webstore. The release also comes with a digital download of the track and a BWD>> mix from Dusk and Blackdown. While Burial had issued a remix of Blackdown's "Crackle Blues" through the label in 2006, this is the first original Burial track to be released through Keysound. 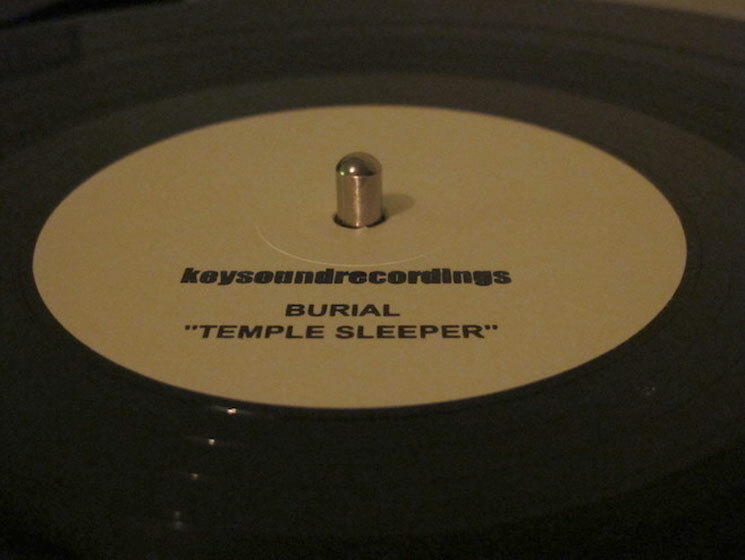 Burial's 2013 EP Rival Dealer was delivered through Hyperdub. You can stream the jumpy and ambient "Temple Sleeper" down below.